Scenario: We needed an in-line, transparent traffic shaping solution. 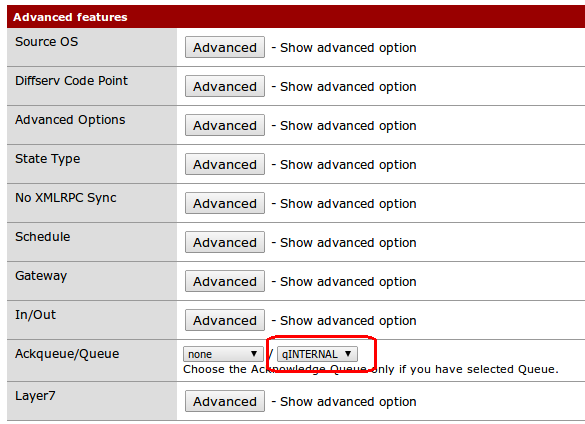 The solution we chose was pfsense due to it’s easy to use UI and effective QoS. 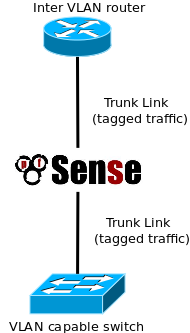 The PfSense had to be placed in bridge mode, on a link that was carrying tagged traffic. It is important that the PfSense did not touch the vlan tagging, it was only to rate-limit the traffic. We next go on to defining queues for various traffic classes we needed. We decided not to use the wizard since that would introduce several feature we didnt need. The below is done via Firewall > Traffic Shaper. Decide which scheduler type to use. We chose HFSC – this is the scheduler used by several industry firewalls such as Palo Alto. Last, apply the queues you just defined. In our case, since we had symmetric traffic shaping we wanted the queues to apply in all directions, whether egressing from one interface or the other. So we defined floating rules via firewall > rules > floating tab.